So I finally managed to get it working. So in development, 343 used a special lobby, "pve_development_only_custom", in order to test Spartan Ops locally. As seen in the Halo 4 Beta, pve_dev was a slightly modified Reach firefight lobby. By injecting the level select and gametype select UIs and modifying them, I managed to get only so far, because assigning pve_dev a screen and trying to visit it crashes the game. I tried a few things, such as not assigning pve_dev and simply "backing out" to it, which kept me in the same lobby I backed out from, but presumably as pve_dev. It always kicked me back to the lobby after the countdown I gave up for a bit. 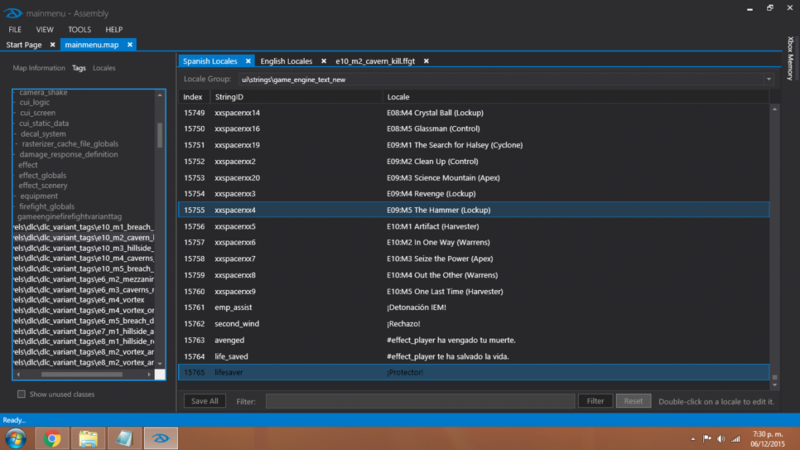 Recently I thought to crash it with Visual Studio attached. Luckily enough, it told me about an exception getting thrown. Investigating that exception, I found a switch case that doesn't catch values past 0xC (theater). pve_dev happens to be 0xE, which means it was reading an instruction as an address, and therefore crashing. At the expense of some matchmaking lobby code (you guys don't need it, right?) I wrote up some code to catch 0xD/0xE and send them to the campaign code. It worked! Because it's using the campaign lobby code, it isn't perfect but that cannot be helped with the original code missing like it is. That said, I researched CUI a bit and cleaned everything up to be more presentable, including a custom lobby, "final" strings for FFGT missions and mapinfos, injected the 1.5 missions, and added proper blfs for every map. modified mapinfos and blfs for all 15 maps. This mod has been tested over system link and appears to work fine. I do not guarantee the accuracy of these internal FFGT Spartan Ops gametypes. The missions I've played appear to work fine. When starting the game, make sure the map matches the name in parenthesis in the mission name. If they do not match the game will load but nothing will happen and you won't be able to spawn. This mod does not cooperate with mainmenu_patch.map. 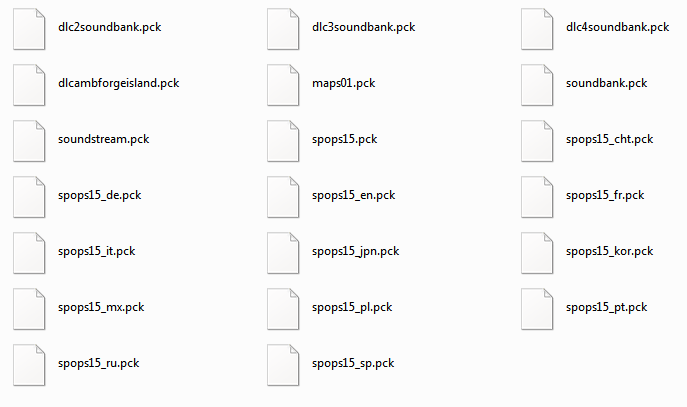 While it is possible to fix, the _patch map has its own strings so every gametype is blank. To work around this, simply add rename "mainmenu_patch.map" in the games root. onyx_patch and onyx_spops_patch should work fine. The gametype list is limited to 32 items, whereas there are 50 spops missions, therefore only episodes 1-5 show by default and 6-10 need to be poked. Poke 0xBE54ED1C to the offset 0xBE54CA78. Or in Assembly, change the address of the "Spartan Ops Variants" block in multiplayer\game_engine_settings_new.wezr to 0xBE54ED1C. Not all gametype options may work, which is an engine thing. 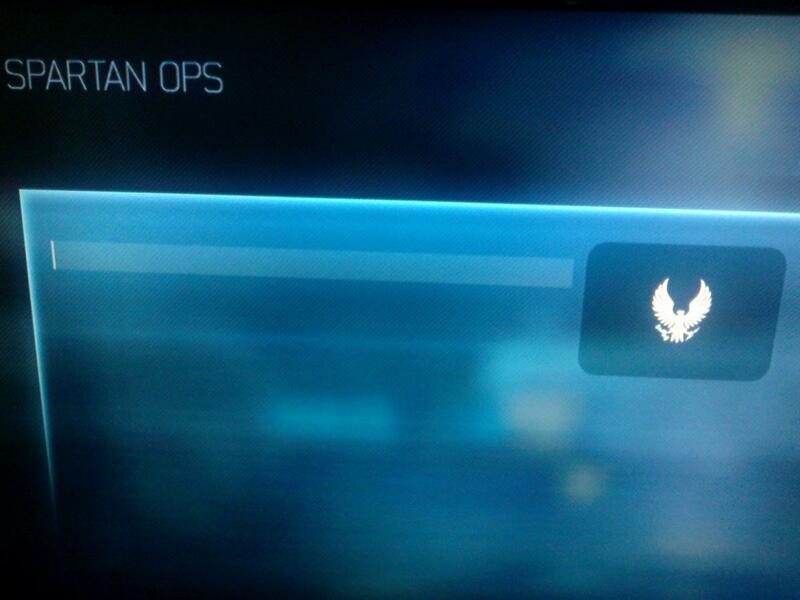 Ingame, simply chose Spartan Ops from the Infinity Menu and you'll be in. Choose a mission, then select the matching map found in the gametype's name, and enjoy some offline Spartan Ops! Geez Zedd, don't you know how to use image tags? I do but I didn't want to clutter an already large post, also didn't know how the download page would like it. Apologies. Ok, fair enough... though putting a group of pictures in a spoiler would serve the same purpose, and save you from having to open a new tab/window. Haven't played much yet but Episode 1 Mission 3 hangs at a black screen after load animation but before anything shows on screen. I also enabled kernel debugging and ran WinDBG but it doesn't say much of anything. Connected to target 192.168.1.137 on port 3333 on local IP 192.168.1.111.Connected to Xbox 360 16547 PowerPC Big-Endian 32-bit target at (Thu Jul  9 22:54:25.653 2015 (UTC - 7:00)), ptr64 FALSEKernel Debugger connection established.Symbol search path is: SRV*C:\Program Files (x86)\Microsoft Xbox 360 SDK\bin\xbox\symsrvExecutable search path is: *** ERROR: Module load completed but symbols could not be loaded for xboxkrnld.exeXbox 360 Kernel Version 16547 MP (1 procs) Checked PowerPC Big-Endian 32-bitMachine Name:Primary image base = 0x80040000 Loaded module list = 0x801c07ccSystem Uptime: not availableThe call to LoadLibrary(ext) failed, Win32 error 0n2    "The system cannot find the file specified. "Please check your debugger configuration and/or network access.0x64 INIT_MEMORY_MANAGER0x65 INIT_STACKS0x66 INIT_OBJECT_SYSTEM0x67 INIT_PHASE1_THREAD0x68 INIT_PROCESSORS0x69 INIT_KEY_VAULT0x6A INIT_HAL_PHASE_1     TRINITY0x6B INIT_SFC_DRIVER0x6C INIT_SECURITY0x6D INIT_KEY_EX_VAULT0x6E INIT_SETTINGS0x6F INIT_POWER_MODEPM: Set FULL  AAPS=80, VCSx(Full=0, Quiet=0, Fuse=0)PM: Now FULL  AAPS=80, VCS=(Full=F, Quiet=F, Fuse=F, Now=1), LPO=1, VID=(Def=24, Now=24)0x70 INIT_VIDEO_DRIVERGPUREV=58410001 DVEREV=11SPLL: ENABLE=1 MULT=DE ANALOGTUNE=140B1 VCODIVRNG=2 DIVA=8 GLM_SE=2RPLL: ENABLE=1 MULT=8D ANALOGTUNE=140B1 VCODIVRNG=2 DIVA=E GLM_SE=2MPLL: ENABLE=1 MULT=E9 ANALOGTUNE=140B1 VCODIVRNG=2 DIVA=E GLM_SE=20x71 INIT_AUDIO_DRIVERAUDIODRV: Initialization Complete0x72 INIT_BOOT_ANIMATIONVD: error reading HDMI DDC (errcode=02)VD: failed to read EDID block 0.-------------------------------------------------------------------------------Loaded DLL bootanim.xex (\Device\Flash\bootanim.xex)-------------------------------------------------------------------------------Mapped 0x98000000 thru 0x9809C000 (PE base 0x98000000)Linked statically with     D3D9.LIB version 2.00.16547.00Linked statically with   LIBCMT.LIB version 2.00.20805.00Linked statically with  XAPILIB.LIB version 2.00.16547.00Linked statically with     XAUD.LIB version 2.00.16547.00Linked statically with XBOXKRNL.LIB version 2.00.16547.00Linked statically with     LINK.LIB version 10.00.11886.00Linked statically with       C2.LIB version 16.00.11886.00Linked statically with       C1.LIB version 16.00.11886.00Import dynamic library xboxkrnl.exe-------------------------------------------------------------------------------0x73 INIT_SATA_DRIVERVD: error reading HDMI DDC (errcode=02)VD: failed to read EDID block 0.VD: error reading HDMI DDC (errcode=02)VD: failed to read EDID block 0.VD: error reading HDMI DDC (errcode=02)VD: failed to read EDID block 0.VD: error reading HDMI DDC (errcode=02)VD: failed to read EDID block 0.VD: error reading HDMI DDC (errcode=02)VD: failed to read EDID block 0.VD: error reading HDMI DDC (errcode=02)VD: failed to read EDID block 0.VD: error reading HDMI DDC (errcode=02)VD: failed to read EDID block 0.VD: error reading HDMI DDC (errcode=02)VD: failed to read EDID block 0.VD: error reading HDMI DDC (errcode=02)VD: failed to read EDID block 0.VD: error reading HDMI DDC (errcode=02)VD: failed to read EDID block 0.VD: error reading HDMI DDC (errcode=02)VD: failed to read EDID block 0.VD: error reading HDMI DDC (errcode=02)VD: failed to read EDID block 0.VD: error reading HDMI DDC (errcode=02)VD: failed to read EDID block 0.VD: error reading HDMI DDC (errcode=02)VD: failed to read EDID block 0.VD: error reading HDMI DDC (errcode=02)VD: failed to read EDID block 0.VD: error reading HDMI DDC (errcode=02)VD: failed to read EDID block 0.SATA: hard disk contains valid security blob.SATA: ODD InquiryData (PLDS    ,J285).SATA: Drive authentication page code = 3B0x74 INIT_SHADOWBOOTSATA: Drive authentication page code = 3BSATA: WARNING second drive authentication attempt within one secondSATA: sense NT status = 0xc0000014.SATA: sense key = 0x2.SATA: sense additional code = 0x30.SATA: SSC at 2:2:2.VD: error reading HDMI DDC (errcode=02)VD: failed to read EDID block 0.VD: error reading HDMI DDC (errcode=02)VD: failed to read EDID block 0.VD: error reading HDMI DDC (errcode=02)VD: failed to read EDID block 0.VD: error reading HDMI DDC (errcode=02)VD: failed to read EDID block 0.VD: error reading HDMI DDC (errcode=02)VD: failed to read EDID block 0.VD: error reading HDMI DDC (errcode=02)VD: failed to read EDID block 0.VD: error reading HDMI DDC (errcode=02)VD: failed to read EDID block 0.VD: error reading HDMI DDC (errcode=02)VD: failed to read EDID block 0.0x75 INIT_DUMP_SYSTEM0x76 INIT_SYSTEM_ROOT0x77 INIT_OTHER_DRIVERS0x78 INIT_STFS_DRIVER0x79 LOAD_XAMRVC: Allocate new UserId:1 Index:0RGC: RgcAddDevice: completedRVC: Allocate new UserId:1 Index:0RVC: Allocate new UserId:2 Index:1RGC: RgcAddDevice: completedRVC: Allocate new UserId:2 Index:1RVC: Allocate new UserId:3 Index:2RGC: RgcAddDevice: completedRVC: Allocate new UserId:3 Index:2RVC: Allocate new UserId:4 Index:3RGC: RgcAddDevice: completedRVC: Allocate new UserId:4 Index:3EDREV=20-------------------------------------------------------------------------------Loaded DLL xam.xex (\Device\Flash\xam.xex)-------------------------------------------------------------------------------Mapped 0x815F0000 thru 0x81EB0000 (PE base 0x815F0000)Linked statically with XRTLLIBD.LIB version 2.00.16547.00 (Debug)Linked statically with     CMTD.LIB version 2.00.20805.00 (Debug)Linked statically with  MDISCPD.LIB version 2.00.16547.00 (Debug)Linked statically with XUIRNDRD.LIB version 2.00.16547.00 (Debug)Linked statically with  XUIRUND.LIB version 2.00.16547.00 (Debug)VD: HSIO retrain 0 at current temperature 52, last trained at 52, latency is 14Linked statically with XGRAPHCD.LIB version 2.00.16547.00 (Debug)Linked statically with D3D9XAMD.LIB version 2.00.16547.00 (Debug)Linked statically with XBOXKRNL.LIB version 2.00.16547.00 (Debug)Linked statically with   XNETYD.LIB version 2.00.16547.00 (Debug)Linked statically with  XHTTPYD.LIB version 2.00.16547.00 (Debug)Linked statically with XAVATARD.LIB version 2.00.16547.00 (Debug)Linked statically with   D3DX9D.LIB version 2.00.16547.00 (Debug)Linked statically with  NUIDEVD.LIB version 2.00.16547.00 (Debug)Linked statically with    XAUDD.LIB version 2.00.16547.00 (Debug)Linked statically with XPGHXAMD.LIB version 2.00.16547.00 (Debug)Linked statically with     XHVD.LIB version 2.00.16547.00 (Debug)Linked statically with XRNSPCSD.LIB version 2.00.16547.00 (Debug)Linked statically with XRNMPCSD.LIB version 2.00.16547.00 (Debug)Linked statically with NUIHNDLD.LIB version 2.00.16547.00 (Debug)Linked statically with     LINK.LIB version 10.00.11886.00Linked statically with       C2.LIB version 16.00.11886.00Linked statically with       C1.LIB version 16.00.11886.00Import dynamic library xboxkrnl.exe-----------------------------------------------------------------------------------------------------------------------------------------------------------------------------------------XAM FEATURE BUDGET---------------------------------------------------------------------------------------------------------- - (Console)   PRELOADED_HUD	0x00060000 bytes - (Console)  WIRELESS_WAVEA	0x000C8000 bytes + (Devkit)       PIX_STREAM	0x00073000 bytes----------------------------------------------------------------------------------------------------------Console features enabled:	0x003F0000 bytesConsole features disabled:	0x00128000 bytesDevkit features requested:	0x00073000 bytesDevkit features enabled:	0x00073000 bytes-----------------------------------------------------------------------------------------------------------------------------------------------------------------------------------------Loaded DLL xbdm.xex (\Device\Flash\xbdm.xex)-------------------------------------------------------------------------------Mapped 0x91F00000 thru 0x91FAF000 (PE base 0x91F00000)Linked statically with TRACERCD.LIB version 2.00.21256.00 (Debug)Linked statically with  LIBCNTD.LIB version 2.00.11886.00 (Debug)Linked statically with   XNETMD.LIB version 2.00.21256.00 (Debug)Linked statically with  XHTTPMD.LIB version 2.00.21256.00 (Debug)Linked statically with XAPILIBD.LIB version 2.00.21256.00 (Debug)Linked statically with XRTLLIBD.LIB version 2.00.21256.00 (Debug)Linked statically with XBOXKRNL.LIB version 2.00.21256.00 (Debug)Linked statically with  XMCORED.LIB version 2.00.21256.00 (Debug)Linked statically with   PMCPBD.LIB version 2.00.21256.00 (Debug)Linked statically with     LINK.LIB version 10.00.11886.00Linked statically with       C2.LIB version 16.00.11886.00Linked statically with       C1.LIB version 16.00.11886.00Import dynamic library      xam.xexImport dynamic library xboxkrnl.exe-------------------------------------------------------------------------------VD: current video mode is 1280x720p ID0 59.94Hz, black level is 0.XBDM: ODD VendorId=PLDS    , ProductId=DG-16D4S        XBDM: DVD Emulator Not Running.USBSEC: security completed successfully (method 3).-------------------------------------------------------------------------------Loaded DLL xstudio.xex (\Device\Flash\xstudio.xex)-------------------------------------------------------------------------------Mapped 0x90E00000 thru 0x90E4F000 (PE base 0x90E00000)Linked statically with   LIBCMT.LIB version 2.00.11886.00Linked statically with  XAPILIB.LIB version 2.00.21256.00Linked statically with XBOXKRNL.LIB version 2.00.21256.00Linked statically with     LINK.LIB version 10.00.11886.00Linked statically with       C2.LIB version 16.00.11886.00Linked statically with       C1.LIB version 16.00.11886.00Import dynamic library      xam.xexImport dynamic library xboxkrnl.exe-------------------------------------------------------------------------------XSTUDIO image size has 0x00051000 bytes remaining within budgetWRN[XAM]: Found nothing in HD DVD drive (type: 0)WRN[XAM]: BIND: XampUserBindDevice Category=0x00; Context=0x20000000; UserID=0x05f84457; UserIndex=0SATA: Drive authentication page code = 3BSATA: sense NT status = 0xc0000014.SATA: sense key = 0x2.SATA: sense additional code = 0x30.-----------------------------------------------------------------------[DHCP]--XBOX DEBUG IP: 192.168.1.139 / 255.255.255.0 [00-25-AE-68-A5-73]      Routers: 192.168.1.1  DNS Servers: 192.168.1.1   DHCP Lease: 1 days 0 hours 0 mins 0 secs   DHCP Server: 192.168.1.1--[xamd.xex]-------------------------------------------[0001000B]--[0000F001]-------------------------------------------------------------------------[DHCP]--XBOX TITLE IP: 192.168.1.138 / 255.255.255.0 [00-25-AE-68-A5-72]      Routers: 192.168.1.1  DNS Servers: 192.168.1.1   DHCP Lease: 1 days 0 hours 0 mins 0 secs   DHCP Server: 192.168.1.1--[xamd.xex]-------------------------------------------[0001000B]--[0000F001]--SATA: Drive authentication page code = 3BSATA: WARNING second drive authentication attempt within one secondSATA: sense NT status = 0xc0000014.SATA: sense key = 0x2.SATA: sense additional code = 0x30.WRN[XAM]: Found Xbox 360 game in DVD drive (type: 1)WRN[XAM]: XMsgInProcessCall() failed to find app id '0x000000FE (254)'WRN[XAM]: XMsgStartIORequest failed to find app id '0x000000FE (254)'WRN[XAM]: XMsgStartIORequest failed to find app id '0x000000FE (254)'NuiCam: Debug Command Processor Started.WRN[XAM]: XMsgInProcessCall() failed to find app id '0x000000FE (254)'-------------------------------------------------------------------------------Loaded DLL ximecore.xex (\Device\Flash\ximecore.xex)-------------------------------------------------------------------------------Mapped 0x91680000 thru 0x916AD000 (PE base 0x91680000)Linked statically with   LIBCMT.LIB version 2.00.20805.00Linked statically with XBOXKRNL.LIB version 2.00.16547.00Linked statically with    XNETY.LIB version 2.00.16547.00Linked statically with     LINK.LIB version 10.00.11886.00Linked statically with       C2.LIB version 16.00.11886.00Linked statically with       C1.LIB version 16.00.11886.00Import dynamic library      xam.xexImport dynamic library xboxkrnl.exe-------------------------------------------------------------------------------XIME image size has 0x00013000 bytes remaining within budget-------------------------------------------------------------------------------Loaded DLL Xam.Community.xex (\Device\FileSystemExtPartition6\2040a300\Xam.Community.xex)-------------------------------------------------------------------------------Mapped 0x91240000 thru 0x9128F000 (PE base 0x91240000)Linked statically with   LIBCMT.LIB version 2.00.20805.00Linked statically with XBOXKRNL.LIB version 2.00.16547.00Linked statically with    XRNSS.LIB version 2.00.16547.00Linked statically with    XRNMS.LIB version 2.00.16547.00Linked statically with    XNETY.LIB version 2.00.16547.00Linked statically with     LINK.LIB version 10.00.11886.00Linked statically with       C2.LIB version 16.00.11886.00Linked statically with       C1.LIB version 16.00.11886.00Import dynamic library      xam.xexImport dynamic library xboxkrnl.exe-------------------------------------------------------------------------------COMMUNITY image size has 0x00071000 bytes remaining within budgetLDRX: failed to load module Xam.DataCenterAgent.xex (C0000033)WRN[DCA]: Failed (d0000033) to load 'Xam.DataCenterAgent.xex'LDRX: failed to load module cert.xex (C0000034)WRN[CRT]: Failed (d0000034) to load 'cert.xex'DEVAUTHRGC: RgcSetMinMaxAuthDelay [0, 0] Invalid parametersWRN[OfflineTimer]: Initialized and Running. State: 0, Minutes Remaining: 0.WRN[XAM]: Skipping title update check for system binary \Device\Flash\xshell.xexWRN[XAM]: Checking for system update on launch of \Device\Flash\xshell.xexWRN[XAM]: Skipping title update for \Device\Flash\xshell.xex-------------------------------------------------------------------------------Loaded DLL huduiskin.xex (\Device\Flash\huduiskin.xex)-------------------------------------------------------------------------------Mapped 0x90F90000 thru 0x90FC8000 (PE base 0x00000000)--------------------------------------------------------------------------------------------------------------------------------------------------------------Loaded EXE xshell.xex (\Device\Flash\xshell.xex)-------------------------------------------------------------------------------Mapped 0x92000000 thru 0x921B4000 (PE base 0x92000000)Linked statically with     XNET.LIB version 2.00.21256.00Linked statically with     D3D9.LIB version 2.00.21256.00Linked statically with    D3DX9.LIB version 2.00.21256.00Linked statically with  XGRAPHC.LIB version 2.00.21256.00Linked statically with     XACT.LIB version 2.00.21256.00Linked statically with   X3DAUD.LIB version 2.00.21256.00Linked statically with     XAUD.LIB version 2.00.21256.00Linked statically with  XAPILIB.LIB version 2.00.21256.00Linked statically with   LIBCMT.LIB version 2.00.11886.00Linked statically with  XRTLLIB.LIB version 2.00.21256.00Linked statically with XBOXKRNL.LIB version 2.00.21256.00Linked statically with  XAPILBP.LIB version 2.00.21256.00Linked statically with     LINK.LIB version 10.00.11886.00Linked statically with       C2.LIB version 16.00.11886.00Linked statically with       C1.LIB version 16.00.11886.00Import dynamic library     xbdm.xexImport dynamic library      xam.xexImport dynamic library xboxkrnl.exe-------------------------------------------------------------------------------SATA: SSC at 2:2:2.-------------------------------------------------------------------------------Unloaded huduiskin.xex (\Device\Flash\huduiskin.xex)--------------------------------------------------------------------------------------------------------------------------------------------------------------Unloaded bootanim.xex (\Device\Flash\bootanim.xex)-------------------------------------------------------------------------------WRN[XAM]: XamNatalDevicePriSendHardwareStatusChangedNotification: Device:C000009D Bits:0 Detroit:C000009D Aspen:C000009D PS1080:C000009DXSHELL: CPUPVR=0x710800[XUI] Warning: XuiControlPlayOptionalVisual: no fallback for control: PopupControl. Trying to play: "Normal"->"EndNormal"[XNET:3] Warning: XNetGetOpt failed: 10022[XNET:3] Warning: XNetGetOpt failed: 10022SATA: Drive authentication page code = 3BSATA: sense NT status = 0xc0000014.SATA: sense key = 0x2.SATA: sense additional code = 0x30.SATA: Drive authentication page code = 3BSATA: WARNING second drive authentication attempt within one secondSATA: sense NT status = 0xc0000014.SATA: sense key = 0x2.SATA: sense additional code = 0x30.SATA: Drive authentication page code = 3BSATA: WARNING second drive authentication attempt within one secondSATA: sense NT status = 0xc0000014.SATA: sense key = 0x2.SATA: sense additional code = 0x30.WRN[XAM]: Couldn't resolve symbolic link root name "XlfsUploadCache"!WRN[D3D]: Titles are required to use a minimum frame buffer of 1280x720 when the console is usingan HD display mode. The current frame buffer size request will not pass certification.-------------------------------------------------------------------------------Unloaded xshell.xex (\Device\Flash\xshell.xex)-------------------------------------------------------------------------------WRN[XAM]: Checking for system update on launch of \Device\Harddisk0\Partition1\DEVKIT\Halo 4 - SpOpz\Halo 4 - Spartan Ops.xex-------------------------------------------------------------------------------Loaded EXE Halo 4 - Spartan Ops.xex (\Device\Harddisk0\Partition1\DEVKIT\Halo 4 - SpOpz\Halo 4 - Spartan Ops.xex)-------------------------------------------------------------------------------Mapped 0x82000000 thru 0x85030000 (PE base 0x82000000)Linked statically with  XAPILIB.LIB version 2.00.21119.00Linked statically with XBOXKRNL.LIB version 2.00.21119.00Linked statically with  LIBCPMT.LIB version 2.00.11886.00Linked statically with    XAUTH.LIB version 2.00.21119.08Linked statically with    XHTTP.LIB version 2.00.21119.00Linked statically with      XAV.LIB version 2.00.21119.10Linked statically with     D3D9.LIB version 2.00.21119.00Linked statically with    D3DX9.LIB version 2.00.21119.00Linked statically with  XGRAPHC.LIB version 2.00.21119.00Linked statically with     XNET.LIB version 2.00.21119.00Linked statically with     XHV2.LIB version 2.00.21119.00Linked statically with   XMCORE.LIB version 2.00.21119.00Linked statically with   XPARTY.LIB version 2.00.21119.00Linked statically with   XAPOBA.LIB version 2.00.21119.00Linked statically with  XAUDIO2.LIB version 2.00.21119.00Linked statically with    RTDMP.LIB version 2.00.4902.00Linked statically with    XWMAD.LIB version 2.00.21119.00Linked statically with     LINK.LIB version 10.00.11886.00Linked statically with       C2.LIB version 16.00.11886.00Linked statically with       C1.LIB version 16.00.11886.00Import dynamic library      xam.xexImport dynamic library      xam.xexImport dynamic library xboxkrnl.exe-------------------------------------------------------------------------------SATA: SSC at 2:2:2.WRN[XAM]: XamNatalDevicePriSendHardwareStatusChangedNotification: Device:C000009D Bits:0 Detroit:C000009D Aspen:C000009D PS1080:C000009DWRN[XGI]: Mounted PEC for user 0 (offline 0xE0001DE3AE68A572, symlink userpec781cfa70).WRN[XAM]: Symbolic link root name "GAME" is not an expected content package device!WRN[XGI]: Profile Cache: Setting 0x63E83FFE is not cacheable.WRN[XGI]: ProfileFile::Lock() failed (hr=0x80004004, pUserTracker=0x781CFA70).-------------------------------------------------------------------------------Loaded DLL deviceselector.xex (\Device\Flash\deviceselector.xex)-------------------------------------------------------------------------------Mapped 0x916D0000 thru 0x916E7000 (PE base 0x916D0000)Linked statically with   LIBCMT.LIB version 2.00.20805.00Linked statically with XBOXKRNL.LIB version 2.00.16547.00Linked statically with     LINK.LIB version 10.00.11886.00Linked statically with       C2.LIB version 16.00.11886.00Linked statically with       C1.LIB version 16.00.11886.00Import dynamic library      xam.xexImport dynamic library xboxkrnl.exe-------------------------------------------------------------------------------WRN[XGI]: Profile Cache: Setting 0x63E83FFF is not cacheable.WRN[XGI]: Profile Cache: Setting 0x63E83FFD is not cacheable.-------------------------------------------------------------------------------Unloaded deviceselector.xex (\Device\Flash\deviceselector.xex)-------------------------------------------------------------------------------WRN[XGI]: Profile Cache: Setting 0x63E83FFF is not cacheable.WRN[XGI]: Profile Cache: Setting 0x63E83FFD is not cacheable.WRN[XGI]: Profile Cache: Setting 0x63E83FFE is not cacheable. Double check your ff90_fortsw.map, as that mission seems to run fine for me. I checked that exception address but it isn't anything I recognize. Same error "Exception : 4177526804 3221225477 2198575744 FirstChance"
I extracted a fresh copy of the map so that shouldn't be the problem, Could it be the settings? I just select the mission and map then change difficulty to heroic and start. No settings are messed with but maybe I need to turn something off or on? IDK but one map failing is not all that bad imho. Change the address selected in the pic to 0xBE54ED1C then poke. Is your game running english? I didn't put in strings for other languages. They can be added, but I only know english. 1-5 had strings already in the map so that's why they were visible and translated. Click the "Strings" tab then open English and Spanish, set the string list at the top in both to "ui\strings\game_engine_text_new". which you will need to add one at a time into the Spanish list. To add, scroll to the bottom and double click on the blank row. Yes keep the string ids on the left side the same. but if I do so not sufficient, since there are 50 spaces that need the missions, I can not add new string? Just keep double clicking the empty row at the bottom. Oh you need to update your Assembly. Also, you should be using the stringids like "e6_m1_factory" not the "xxspacerxx" ones, I meant keep the same stringids english uses.